The City of Newburgh is a small but vibrant urban community on the west bank of the Hudson River in Orange County, NY. 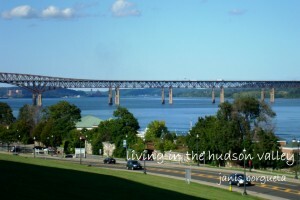 Its approximately 29,000 residents comprise one of the most diverse and culturally rich communities in the Hudson Valley area. The city is well-known for its beautiful and affordable historical homes and gorgeous architecture. The City of Newburgh is located approximately 60 miles north of New York City and 90 miles south of Albany, sitting directly on the west bank Hudson River. It is bordered by the Town of Newburgh to the north and west, and New Windsor to the South. The land near the water rises sharply to a bluff, where many homes overlook the Hudson Highlands. With some of the most stunning views in the Hudson Valley, Newburgh residents do not have to sacrifice natural beauty to live an active city lifestyle. Newburgh is a haven for commuters, with easy access to Interstate 84 and the New York State Thruway (I-87). The town of Beacon lies directly across the Hudson River and offers a nearby Metro North station. Commuters to New York City access the train station via the Newburgh-Beacon Bridge, or enjoy a quick trip across the river on the commuter ferry, with cheap fares and free parking. Newburgh residents enjoy an active, city lifestyle with many amenities. The new Waterfront District stands as a prime example of the restoration the City of Newburgh has worked hard to attain over the past decade. It has become a major destination for fine and casual dining with a river view, and also contains a fitness center, spa, independent film center, art gallery, marina, and many new residences. The once-abandoned Westshore Train Station has been fully renovated, and is home to the Railroad Playhouse theater company. Across from the waterfront, the Newburgh Brewing Company is a new favorite for craft beer aficionados, with locally-sourced bar eats and live music. For residents who enjoy being outdoors, Newburgh is home to several parks that are perfect for individuals and families alike. Downing Park, named after renowned local architect and landscape designer Andrew Jackson Downing, is the largest park in the city, with hills, paths, streams, a pond, and gardens spanning 35-acres. Designed to be a peaceful, contemplative space, residents can stroll its winding paths or take in a beautiful vista and get away from the bustle of city life. For those who would prefer something more active, the Delano-Hitch Recreation Park provides 26-acres of outdoor and indoor facilities for athletic and recreational activities for children, adults, and seniors. The land that was to become the City of Newburgh was originally occupied by members of the Lenape tribe of the Algonquin nation. It was settled in the spring of 1709 by a group of German refugees, who were soon after joined by Scottish, Dutch, English, and African immigrants. Milling, farming, and lumbering became productive industries, and commercial and residential building grew. The community officially became the “Parish of Newburgh” in 1752, named after the Scottish town of Newborough. Newburgh continued to grow during the Revolutionary War and played a critical role in achieving American independence. The city’s location on the Hudson River made it a key strategic location for the budding nation, earning it the nickname “birthplace of the republic.” To this day, hundreds of local schoolchildren visit George Washington’s Headquarters each year, where General Washington lead the war effort and where peace was also eventually declared. The nineteenth century was a time of growth and economic development for Newburgh, as its location on the Hudson made it a major hub for commerce. Industry also flourished as the Civil War spurred the need for manufacture of military supplies. Many homes, churches, and other buildings that were built during this time period have been preserved, and you will see many historical houses from the 1800s on the market today. The City of Newburgh incorporated in 1865, officially separating from the Town of Newburgh that now borders the city to the north and west. The early twentieth century saw the City of Newburgh take its place as a thriving hub of manufacture, retail, and recreation. However, in the years following World War II, a confluence of factors including the rise of chain stores and the national trend towards suburbanization led to a downturn in the local economy and the loss of many once-successful businesses. Since the 1970s, dedicated activists, volunteers, and citizens have played a crucial role in preserving the city’s many historical sites and architecture, and restoring the city’s commercial, cultural, and recreational assets. Today, Newburgh boasts the largest historical district in the State of New York, a bustling waterfront commercial district, and a beautiful and accessible park system. The City of Newburgh is served by the Newburgh Enlarged City School District, which also serves students from the neighboring Town of Newburgh, New Windsor, and a small part of Cornwall. One elementary school, one K-8 school, one middle school, and the high school are located within the city limits, although students may also attend a chosen school throughout the district. There are several options for private, parochial education for students from Pre K through 8th grade. For residents seeking higher education, SUNY Orange (also known as Orange County Community College) provides high quality, affordable courses for credit, professional development, and personal enrichment. It is the first county-sponsored community college to be part of the State University of New York system. Students may study at the Newburgh Campus, and can also utilize free shuttle service to the Middletown Campus. Mount Saint Mary College is a 4-year, private liberal arts college offering bachelors and masters level programs in business, education, the health professions, media arts, and the social sciences. It was ranked as a top-tier regional university by U.S. News and World Report. MSMC also boasts a strong athletics program with seventeen intercollegiate varsity teams and twenty intramural sports. Go Knights! Begin your search for a home in Newburgh NY and you will find an unparalleled choice of architectural options, of homes varying in age, era and style. 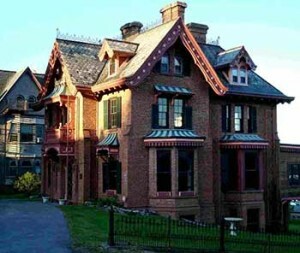 The City of Newburgh is home to the largest historical district in the state of New York. Enthusiasts of historical and vintage architecture will delight in our homes dating as far back as the 1700’s. Those with more modern tastes will appreciate many options that brand new construction can offer. As your real estate agent, I will help you find what works best and guide you along the way. 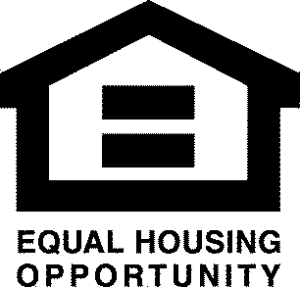 We will work together within your budget finding your Newburgh NY house to call home. One of the most magical things about living in Newburgh NY is the history you can find around every corner. Every school child learns about Newburgh’s important role in the American Revolution and visits the historical sites that make us the “Birthplace of the Republic.” Our tales of George Washington’s Headquarters during the Revolutionary War and the Balmville Tree are some of the most exciting. West Point Military Academy is nearby and provides another segment of our history, triumphs and story. Newburgh residents are very proud of our history, and “bring it to light” at our annual Newburgh Illuminated festival. Newburgh homeowners have many choices when it comes to things to do around town. The natural environment is beautiful in every season. Those that love kayaking, hiking, and a leisurely walk around the park or along the Hudson are in for a treat. Festivals, wine tasting, and concerts are available almost every weekend either in town or within a short driving distance. We even have an Opera Company with local talent performing on a regular basis to audiences with rave reviews. Options for culture and entertainment abound as we are close to NYC, Woodstock NY and so much in between. The City of Newburgh’s hard working leaders, activists and citizens have been tirelessly working towards revitalization, and their efforts are paying off. Newburgh is experiencing a long-awaited renaissance of business and culture. Now is a wonderful time to purchase a Newburgh, NY home and become part of this fantastic city on the verge.